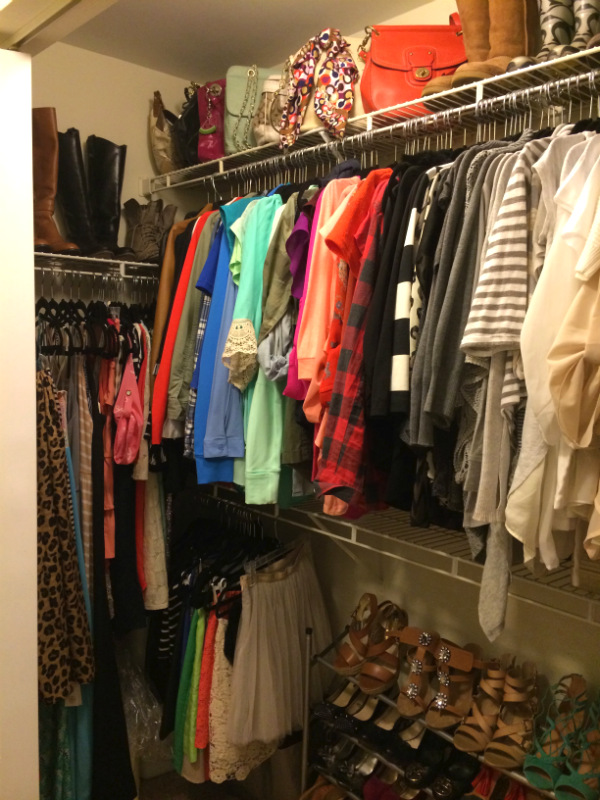 My closet is my happy place, and I’m being absolutely serious about that. If I’m stressed or down, I can always go here and organize it and somehow I feel better afterward. I probably organize it every other day, and finally after moving everything is in its place. 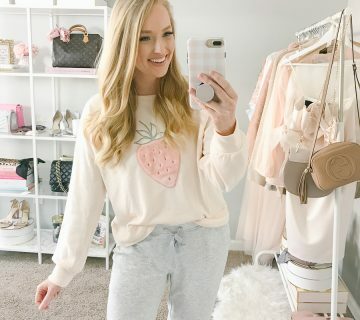 I wanted to share my tips on how to get your closet your happy place! 1. Overall, I prefer to organize my closet by color rather than by the type of shirt it is. I think it’s more aesthetically pleasing this way, and I can still find what I need. I do however put all my tank tops together by color, because these will get lost behind tops with sleeves. You can find them on the far right, then I just started with white/creams and worked through color going towards the left. 2. Utilize small space for display. I didn’t know what would fit at the very top of my closet, so I decided to stuff my purses with paper and display all of them. I knew if I just stored things in boxes up here (such as scarves and hats), they would NEVER get used. I need to see it to remember I have it! P.S Can’t you tell I used to work at COACH? 3. I would recommend to invest in all the same hangers. I gradually built my collection shopping at places such as Marshalls, TJ Maxx, and Costco. I wanted these slim and fuzzy ones so my shirts didn’t slip and to optimize space. Also, these have rounded edges so your sweaters don’t stretch while hanging! 4. Add extra storage as needed. I was lucky to draw for the master bedroom between my roommates, and it came with the built in shelving on the far right (seen in the photo above). 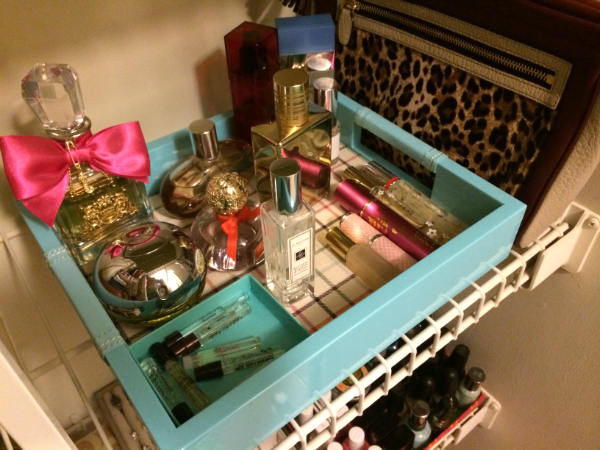 I already had this 3 drawer plastic container and it fit perfectly in this space. 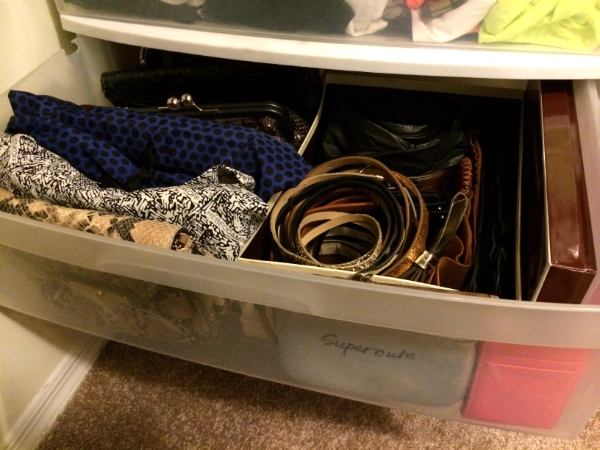 I use this to store tank tops, clutches and belts, and extra hair stuff (curlers, etc). 5. I use shower rods to hang my scarves (seen on the far left). This has been the best way I’ve found to keep them from wrinkling, plus I can easily see them! 5. I use these hanger clips to store my skirts. I prefer them hanging like this instead of folded because it takes up too much space and keeps them from creasing. 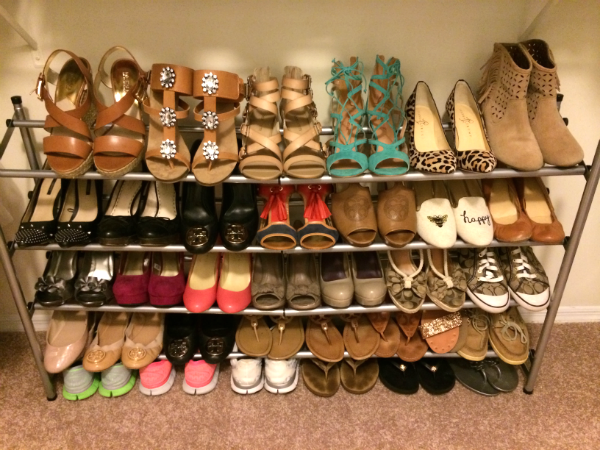 I just upgraded my shoe rack (found here) because surprise surprise my old one ran out of space. As you can see this was just enough room, but some of these will be included in my Instagram closet shop soon! If you’re interested, be sure to follow @shopstrawberrychic so you know when it launches! Jewelry display is crucial, because like I said earlier if I don’t see it I don’t wear it. 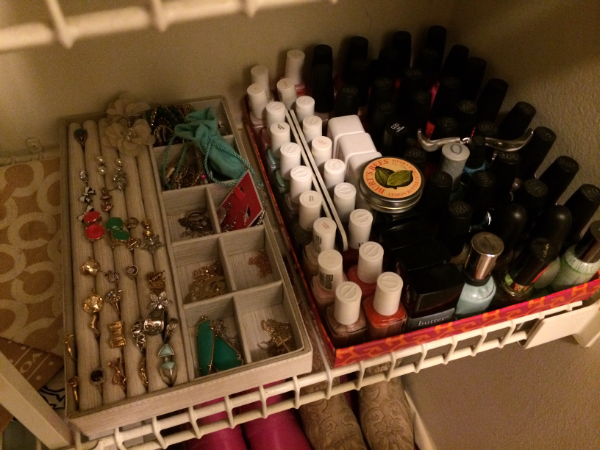 I purchased this bracelet organizer from Michaels Craft Store years ago, but I’m sure it’s still available. I also love this because of the neutral color! I also store my sunglasses here to keep them safe from scratches and so I don’t always just wear the same pair kept in my car. If you have any questions about specific items just let me know! Great advice! Have a fabulous weekend! love this Amanda! 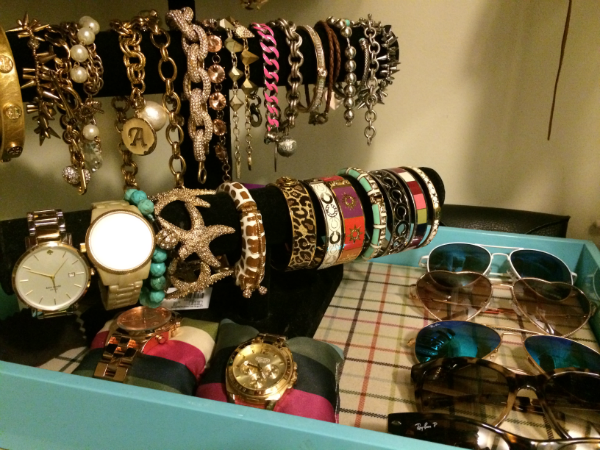 I definitely need those jewelry organizers, I totally agree if you don't see it, you don't wear it! But I can relate to my closet being my happy place, It's a nice place for me to go if I need a break from the world haha Hope you have a great weekend! 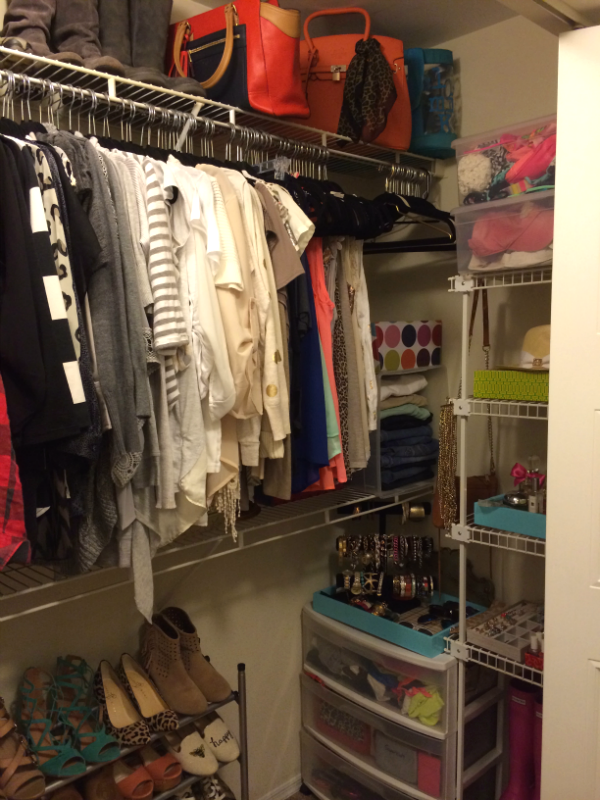 Awesome tips and awesome closet! 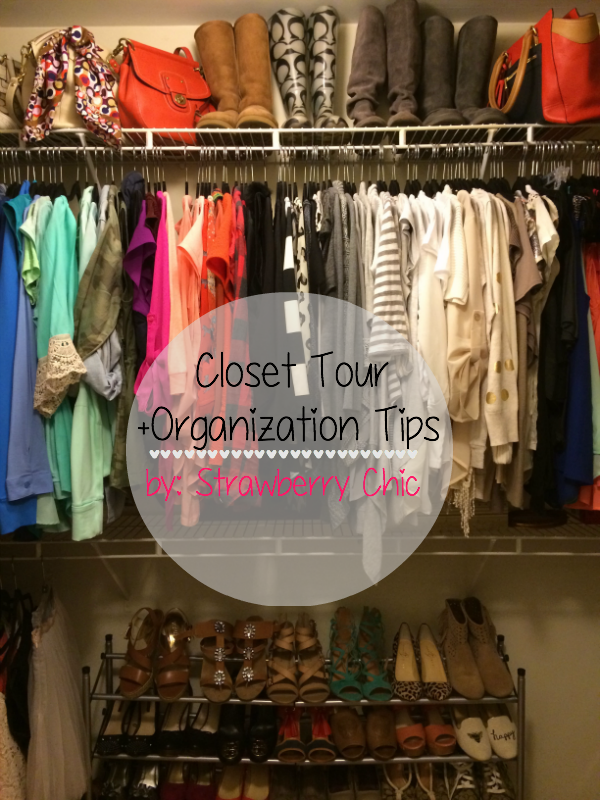 Operation organize closet, great tips! 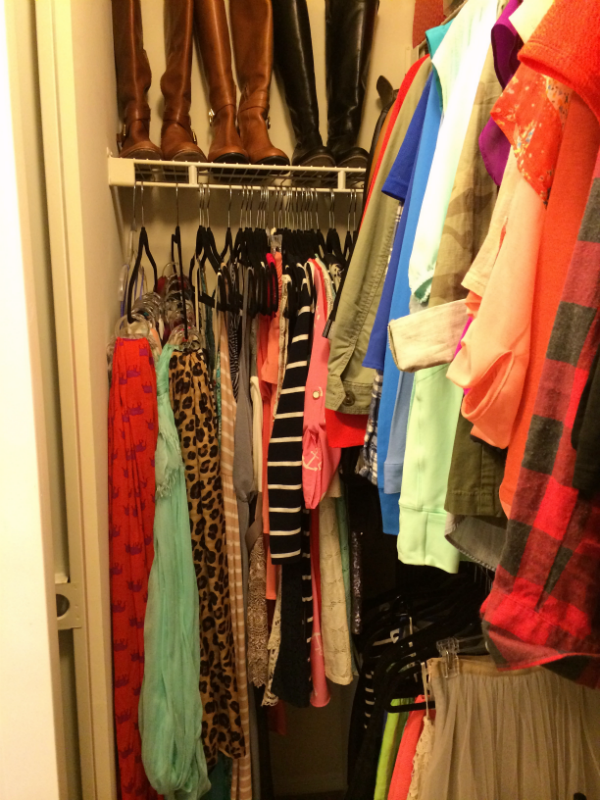 Your closet is amazing! I'll definitely incorporate some of your tips. I spot a Hermes bag ;). I love your closet. So super organized. My hangers are from Ross, Marshalls and TJ Maxx too I swear they've got the best hangers. 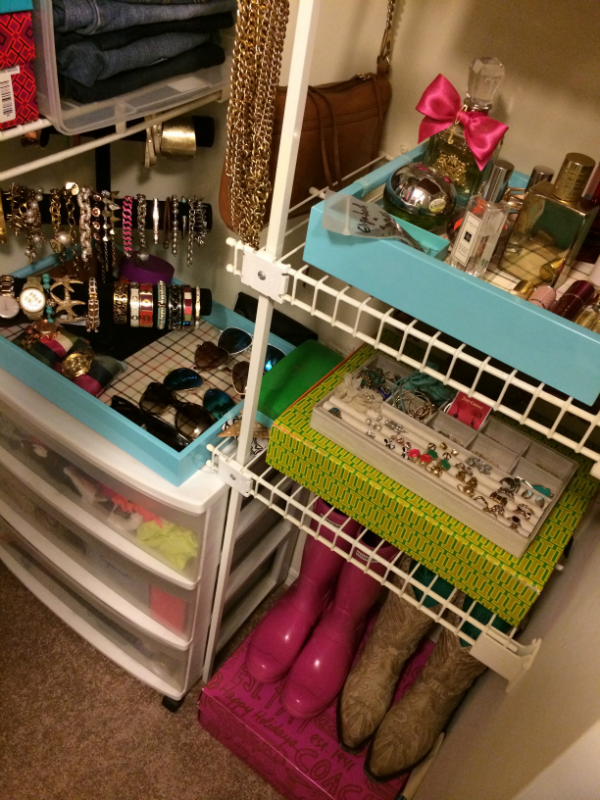 I love reading closet organisation posts! 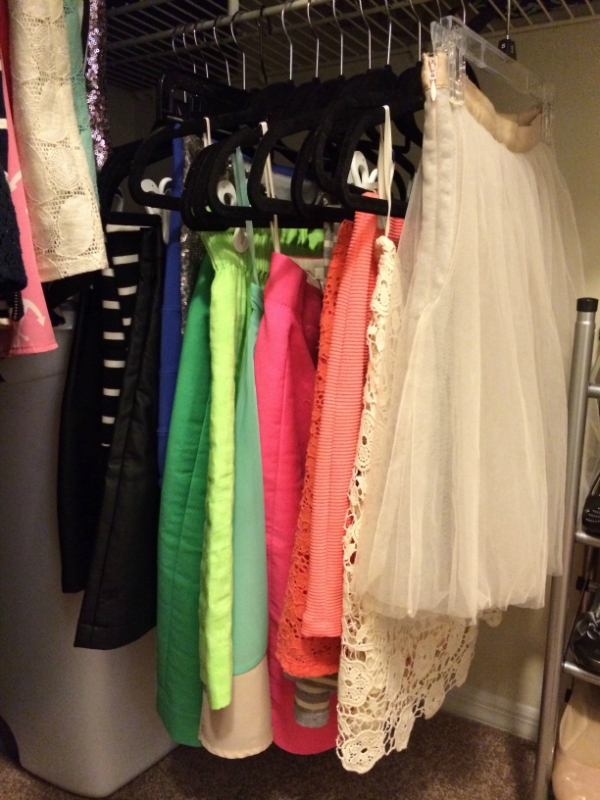 I am definitely going to start organising my clothes by colour now – it looks so much nicer!